Get your New Zealand tax back. 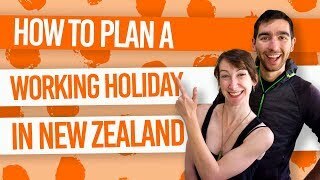 Throughout your working holiday in New Zealand, you have most likely worked to fund your travels, while seeing your wages deducted on your payslip as part of the Pay As You Earn scheme. Bad times. But all is not lost, as you can apply for a tax refund! How much you get depends on how much you have earned that tax year, but at least its a little boost for your bank account. Remember, you won’t get a tax refund if you do not apply! So check out our guide below to see how to be reunited with some precious dollars. It is definitely the easy option to get your tax back. This usually filling out a few details on a tax return company’s website, then just sitting back and waiting for the tax refund. Some companies can even get your tax return if you have left the country – something that’s difficult to achieve on your own. Of course, a fee will be taken from your tax refund to pay for the company’s service. This option is a “do-it-yourself”, which is easy enough to do online through the Inland Revenue Department (IRD) website as soon as you can after the tax year is complete. However, the process is a little more complicated if seeking a tax refund from a couple of tax year’s ago or if filing for your tax refund through paper forms. When is The New Zealand tax year? Every year, the New Zealand tax year begins on 1-April and ends on 31-March. If you worked in New Zealand during that time, you can apply for a tax refund after 31-March. For example, if you worked any time between 1-April-2014 and 31-March-2015, you can apply for a tax return for the time worked between those dates after 31-March-2015. How much tax refund will you get? How much tax was withheld from your wages. Work out what refund you are eligible by creating a myIR account or even simpler, by using the widget below. This is by far the easiest way to get your tax refund. However, there is a fee for this service but with the time and hassle saved, some tax return companies have a pretty reasonable fee. All you’ll need to apply for a tax refund is about 15 minutes of your time, your IRD number (tax number), and your bank details so you can be paid the refund. Some companies like taxback.com will even get you a higher than average discount as they have well trained professional doing all the hard work for you. Their service fee will be deducted from your tax refund so you have nothing to pay upfront, easy! Most tax refund companies can help you get your tax back whether you are in the country or have already left New Zealand. A payment into your bank account from IRD may take up to 10 weeks, especially if you arrived part-way into the tax year. Check out how much you can get using a tax agent with the widget below and get one to contact you in your own language at any point of your trip. If you are at the beginning of your trip or even still back home planning your trip, they will also get your travel dates and contact you back prior to your departure to walk you though the whole process. So you’ve decided to brave it and get your tax refund yourself! Not only will you save money on service fees, but you’ll become a badass form filler-outer. (That’s the technical term). The easiest way to claim your tax refund straight from IRD is to do it online through the IRD website. All you need is to set up a “MyIR” account and the paperwork needed for filing your tax return should be on your account automatically. On the IRD website, select “Register” under the box for “MyIR”. Type in your IRD number. On the next page, fill out your first name, last name, date of birth, contact phone number and email address. You will then need to enter a New Zealand phone number to activate your account. Numbers must be presented with a “64” instead of the first “0” of your phone number. For example, 642732737327 if your phone number was 02732737327. Choose a User ID and password. On the next page, tick the “conditions of use” box and click continue. You will then receive an activation code by text. You have two hours to enter the activation code. Otherwise, click on “end process” and call IRD for an activation code. Once activated, you will be able to log into MyIR. When logged into your MyIR account, you should notice that your income tax is automatically filled out. This is due to the IRD paperwork you will have completed at the beginning of your employment in New Zealand. If information is missing under the “income tax” heading on your MyIR account, then you need to organise completing the IRD paperwork with your employer. By the end of May, you should receive a notification on your MyIR account to file Individual Tax Return (IR3). If you don’t receive one, then you can request one by contacting IRD. To fill out your IR3, just follow the onscreen instructions. You will also need to state whether you want your tax refund sent to you directly to your New Zealand bank account or in the post by cheque. Once you file your IR3 return, IRD will process it and send you a return acknowledgement confirming your assessment within 10 weeks (although, it usually only take about two weeks). This where things get a little more complicated. If for some reason you can’t file your tax refund online, follow these three steps to getting a tax refund if you are leaving the country soon, so the refund will need to reach you overseas. Those two forms will be available during April on the IRD website by searching “IR3 form” in the top right search bar to find the up-to-date forms. The details of your bank account so that the IRD can forward your tax return in the form of a cheque and post it to your overseas address. 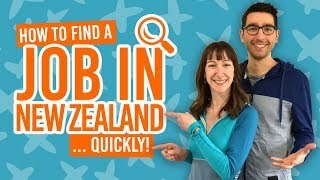 Once you have sent your application, it takes 2-3 months for you to receive your New Zealand tax back. Follow these three steps to get your tax refund if you are staying in New Zealand a little while longer after the end of the tax year. This form will be available during April on the IRD website by searching “IR3 form” in the top right search bar for an up-to-date form. The payslips from each job you had in New Zealand or your end of year payslip. The details of your New Zealand bank account so that the IRD can pay your tax return. Once you have sent your application fully completed, it takes 2-3 months for you to officially receive your New Zealand tax back. If you are leaving New Zealand before the tax year has ended, then you might still be able to get a tax refund. However, this process needs to be started before you leave New Zealand. This way you will be able to complete and file your return online from overseas once the New Zealand tax year has come to an end. This form will be available during April on the IRD website by searching “IR3 form” in the top right search bar for an up-to-date form. You need to clearly state the period the tax return covers, i.e. 1-April to the date of your departure from New Zealand. The details of your New Zealand bank account or overseas account so that the IRD can pay your tax return. Got a question about your tax return? The best source to contact is IRD.